In an old Texas case, the attorney testified that the deceased insisted on an affidavit. He refused to make a will because his wife was refusing to make one. The attorney recommended that he execute a will instead but he refused. The court noted that even though the gentleman told his attorney that he did not want to make a will but an affidavit, the affidavit was in fact a will. The case upholds a jury finding that the affidavit is a will. The court noted that the affidavit is unambiguous and is clearly testamentary in its character. It makes certain special bequests and then proceeds to dispose of the maker’s entire estate. It concludes with the following statement: “This instrument is made to show what has been done and also what I wish done after my death and to be used as a guide in the partition of my estate.” The affidavit was executed with all the formalities required of a will and was witnessed as wills are required to be. Saathoff v. Saathoff, 101 S.W.2d 910, 912 (Tex.Civ. App.-San Antonio 1937, writ ref’d). This case also stands for the proposition that a mark is a good signature. Testator had lost his hand and signed with a mark. Additionally, the case stands for the proposition that a notary’s signature can be deemed a witness signature although the notary signed the document as a notary. Wills require two witnesses. The affidavit had one witness and the attorney notarized it. The court held that the attorney’s signature as a notary met the requirement that a will have two witnesses since wills are not required to be notarized. 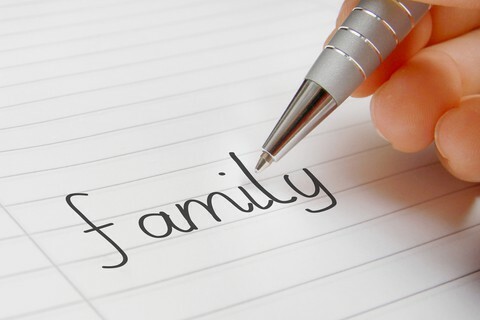 Read about the requirements and formalities of executing wills here. 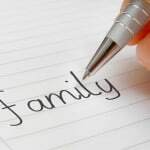 Can an affidavit be a will? Yes, and here is the affidavit. “1. To my daughter Anna, (wife of Willie Nietenhoefer) has already received Five Hundred Dollars oil lease rents to which I was entitled. “2. To my son, Albert Saathoff, has received Fifty acres of land and no money. “3. My step-son, Albert Scharf has received Two Hundred Dollars cash as an advancement and shall receive Fifty acres of land after my death. “4. My daughter Christine (now wife of Hugo Saathoff) shall receive Five Hundred Dollars cash after my death as an advancement. “5. My daughter Olga (wife of Robert Nietenhoefer) shall receive Five Hundred Dollars cash after my death as an advancement. “6. My son, Rolf Saathoff, shall receive Fifty acres of land after my death. “8. My daughter, Ida Mae Saathoff shall receive Five Hundred Dollars in cash after my death as an advancement. “9. My son, Ehme Saathoff shall receive Fifty acres of land after my death. “10. My son, Mathes Saathoff, shall receive Fifty acres of land after my death. “After the above payments and partitions, then all my remaining property shall be divided share and share alike to each of the above mentioned ten children. “This instrument is made to show what has been done and also what I wish done after my death and to be used as a guide in the partition of my estate. “Witness my hand at Hondo, Texas, this the 15th day of January, A. D. 1932. “Sworn to and subscribed before me, this the 15th day of January, A. D. 1932. Witness my hand and seal of office at Hondo, Texas. What are six common reasons for contesting wills?